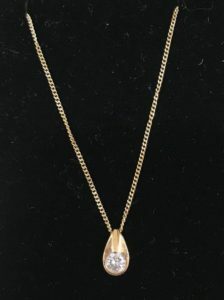 This stunning 14 kt gold 18 inch necklace with a 1/2 carat solitaire diamond set in a 14 kt gold tear drop pendant. 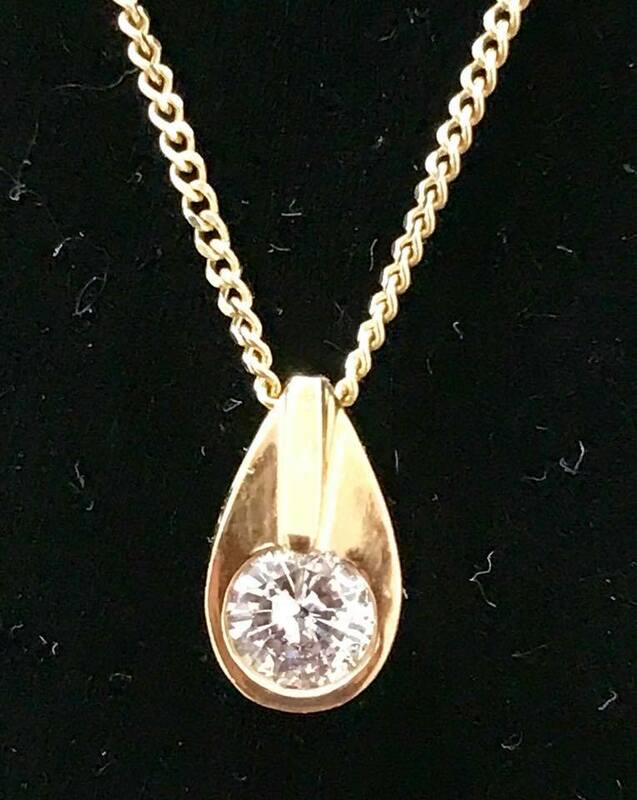 With the upcoming Holiday Season, this lovely necklace and pendant will be a lovely gift that will certainly place a smile on that special someone’s face. A tax deductible donation receipt will be provided.